The kid who grew up in St. Louis eating banana sandwiches with mustard grew up to be one of the legends of legends of New York Yankees baseball. Born on May 12, 1925. Lawrence Berra was raised in –“The Hill” the Italian section of St. Louis. One of his neighbors and friends was future catcher big league catcher and broadcaster Joe Garagiola. Berra’s parents were Italian immigrants. His father was a bricklayer and construction worker. The young Berra dropped out of school without completing the eighth grade. The story was he needed to work to help financially support his family. Of course, in his spare time he played American Legion baseball. There are many versions that have been passed down explaining how Lawrence Peter Berra came by the nickname, “Yogi.” The Baseball Hall of Fame is on record with this one. After attending an afternoon movie that showed a “yogi” practicing yoga, his friend Jack Maguire noted how his buddy resembled the “yogi.” Maguire said: “I’m going to call you Yogi.” And as it turned out, so did millions of others. He could have played for the St. Louis Cardinals, but Branch Rickey blew it. After a tryout, he offered Berra a $250 bonus, unsure if the youngster was big league material. His friend Joe Garagiola, Berra knew, was offered $500. For the canny Berra, it worked out well as most things in life did. He waited for a better offer. Enter Yankees and $500. His first stop was the Norfolk Tars of the Class B Piedmont League. There briefly, at age 18, Yogi left organized baseball and enlisted in the Navy. As a second class seaman on a six man rocket boat, Berra took part in the D-Day invasion at Omaha Beach and manned a machine gun providing cover fire. He also served in North America and Europe and was awarded a Purple Heart. 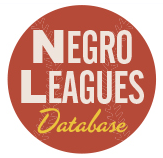 War over, Berra was assigned in 1946 to a team in New London, Connecticut for a few games and then it was up to the top Yankee farm team the Newark Bears of the International League. In 77 games, splitting time between catcher and the outfield, he batted .314 with 15 homers, batted in 59 runs. The Yankees had seen enough. They called him up. Perhaps it was because of comments like one delivered by MacPhail and others that Berra played all the time in overdrive. In his first Major League game in 1946, he slammed a home run. The next day he hit another one. He started that way and never let up. Although he shared time as Yankee catcher with others, he batted .280, slammed 11 home runs, and drove in 54 runs in 1947 his rookie season. Dogged, driven, determined, highly capable, the young Berra showed off what he was made of and what he would become in a game against the St. Louis Browns in 1947. An inexperienced catcher, he jumped out for a bunted ball, tagged the batter and tagged the runner coming home from third on a squeeze play, “I just tagged everything in sight, including the umpire,” he explained. Manager Casey Stengel fell in love with him right from the start calling him “Mr. Berra” and “my assistant manager.” When Stengel was asked why Yankee pitching was so excellent, he replied: “Our catcher that’s why. He looks cumbersome but he’s quick as a cat”. In 1949, Stengel’s “quick as a cat catcher” and “assistant manager” broke a finger. No matter. Berra played on. He played a part of that season with one finger outside of his catcher’s mitt. Berra began that practice which would be adopted by most catchers. The great Bill Dickey, a Yankee coach and former legendary catcher, put in much time with Lawrence Peter Berra as his mentor and his pupil observed uttering one of what would become one of his most famous of “Yogiisms” – – “Bill is learning me all his experiences.” Yogi was a very quick learner, and he went on to become an accomplished heads-up catcher. A celebrated bad-ball hitter, Berra swung at quite a few balls that were not strikes. He smashed them anyway. PHIL RIZZUTO: I saw him hit them on the bounce; I’ve seen him leave his feet to hit them. He was a remarkable clutch hitter, highly intelligent and durable, incredibly productive. He was the engine, the force, the constant. He was always somehow obscured by the Yankee legends he played with. But Yogi had the goods. The stats are truly amazing: a record 14 World Series appearances and 10 championships, an All-Star 18-times, a three time Most Valuable Player. Berra caught 14,387 innings, 1,699 games behind the plate, throwing out almost half of those who attempted to steal on him. He had ten straight seasons with at least 20 home runs. Five seasons he recorded more home runs than strikeouts. From 1947 to 1965, Yogi averaged about 500 at bats a season, never striking out more than 38 times each year. He played in 15 straight All-Star games, on 14 pennant winners, 10 World Champions, more than anyone in history. “Mr. World Series”—Mr. Yogi holds records for games played (75), at-bats (259), hits (71) and is tied with Frankie Frisch for the record in doubles. (10). “Mr. 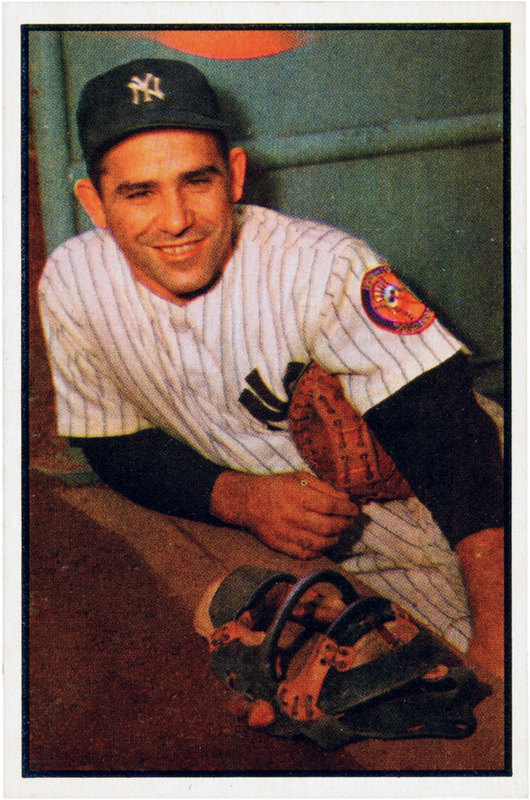 Berra” for his career batted .285, slammed 358 home runs, batted in 1,430 runs. Incredibly, he averaged just fewer than 5.5 strikeouts per 100 at-bats, never striking out more than 38 times in a season, whiffed just a measly 414 times in 2,120 games. Berra played 15 seasons in which he took 300 plate appearances and received MVP votes in every one of them, once putting together a six-year run of MVP finishes of first, fourth, second, first, first and second.. He is one of two players who hit 350 home runs without striking out 500 times. The other is Joe DiMaggio. As one decade passed into history, the 1950s, and another came took its place, Yogi Berra was in his middle thirties, a tough time for most catchers. Talented backstop Elston Howard was the future. Casey Stengel realized that as did Yogi. Always a team player, Berra returned to the outfield, winning two more World Series rings, playing the outfield more than he caught. In 1964, his momentous and remarkable playing career over, Berra replaced Ralph Houk as Yankee pilot. It was a team that had a great deal of talent that had ripped off a string of four straight pennants. But for Berra and his players, there were lots of struggles for a good part of the season. Rumors made the rounds that Yogi was disrespected by some of his players. It was dog days of August. The Yankees had dropped four straight to the White Sox and 10 of their last 15 games. They were on a bus headed to the airport. PHIL LINZ: I sat in the back of the bus which was stuck in heavy traffic. It was a sticky humid Chicago summer day. I was bored. I pulled out my harmonica. I had the Learner’s Sheet for ‘Mary Had a Little Lamb.’ So I started fiddling. You blow in. You blow out. Yogi Berra came from the front of the bus and told Linz to tone it down. There was a slap directed either at Linz or the harmonica or both. Whatever, that incident was a game changer for the Yankee season. Berra got new respect. Linz was elevated to starting shortstop due to injuries to Tony Kubek. The “Harmonica Incident” momentum propelled the Yanks to a 22-6 record in September, victory in a close pennant race over the White Sox. The only negative was a seventh game World Series defeat at the hands of the Cardinals. That cost Berra his job. Many, however, claimed the Yankee legend was already on the way out when the “Harmonica Incident” took place no matter how the season finished. Bounce-back-Berra, never out of work for long, moved on to the woeful Mets in 1965. His first manager Casey Stengel was the manager, and at the very tail end of his storied career. By 1969, Stengel was gone, replaced by Gil Hodges as manager. Yogi Berra was still in place as the first base coach. The “Miracle Mets” defeated the Reds in the World Series and became the darlings of New York City baseball. In 1972, when Gil Hodges died, Berra became manager. In 1973, he brought the Mets within a game of winning another world championship. In 1975, restless management pulled the trigger on their manager. On August 6th, with the Mets in third place, with the team having lost five straight, Yogi Berra was fired. Resilient, reliable, the workaholic Berra bounced back again as a Yankee coach in 1976. In 1984, George Steinbrenner moved him up as manager replacing Billy Martin, another dizzying move in a revolving door of Yankee pilots over those years. The 1984 Yankees went 87-75 under Berra, good enough for third place. Steinbrenner reportedly told Berra in spring training in 1985 that he was his manager that season no matter what happened. More than the firing by Steinbrenner, what really infuriated Berra was that Steinbrenner sent general manager Clyde King to deliver the news of the termination. Hurt, disgusted with the Yankee owner, the prideful Berra announced he would never to return to Yankee Stadium as long as George Steinbrenner ran the show. The promise was kept for fourteen years. Berra was not even on there in 1988 when plaques honoring him and Bill Dickey were added to Monument Park. I had two meetings with the unassuming and lovable Lawrence Peter Berra. One took place in the late 1980s when he was a coach for Houston working for his friend, Astros owner, John McMullen. I was interviewing for Throwing Heat, my autobiography of Nolan Ryan. Entering the Astrodome very early, thinking no one else would be there, I moved into the dugout to organize myself for pre-game interviews. 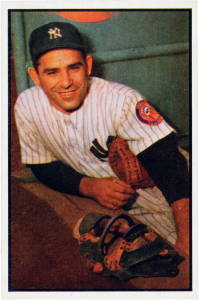 Yogi Berra was already there, sitting silently, looking odd in the outlandish Crayola uniform of the Astros. We greeted each other and then he uttered a Yogism: “You know, if it rains, we won’t get wet.” He had gotten off much better ones, but I laughed and agreed with him. We talked a little baseball and then got on with our day. He did so much for me and for so many others through all those Yogi Berra seasons. Number 8, was part of the “greatest generation,” real, wise, human, talented, truly one of a kind. It was over for him at age 90. He passed away on Tuesday September 22, 2015, the 69th anniversary of his Major League debut. The above profile is excerpted from the author’s THE ULTIMATE YANKEE BOOK which debuts this fall. PRE ORDER from AMAZON: http://www.frommerbooks.com/ultimate-yankees.html. 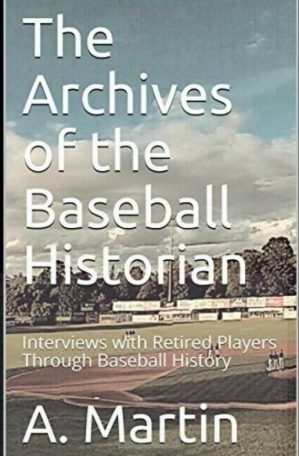 About Harvey Frommer: One of the most prolific and respected sports journalists and oral historians in the United States, author of the autobiographies of legends Nolan Ryan, Tony Dorsett, and Red Holzman, Dr. Harvey Frommer is an expert on the New York Yankees and has arguably written more books, articles and reviews on the New York Yankees than anyone. 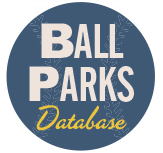 In 2010, he was honored by the City of New York to serve as historical consultant for the re-imagined old Yankee Stadium site, Heritage Field. 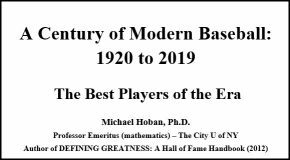 A professor for more than two decades in the MALS program at Dartmouth College, Frommer was dubbed “Dartmouth’s Mr. Baseball” by their alumni magazine. He’s also the founder of HarveyFrommerSports.com.